YEAH!!! There were times when I never thought my book would actually be on bookstore shelves or available online as it is today! It’s been a long and sometimes arduous journey to get Don’t Blink in print. Now that it is, I hope and pray that God will use this book for the purpose intended—to inspire Christians to live life to the fullest, and as a gift to our non-Christian friends who could use a different perspective on what the Christian life looks like. 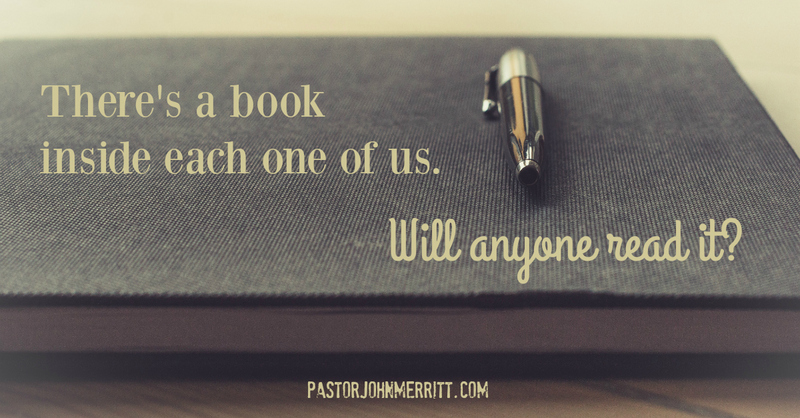 It’s been said that there’s a book inside each one of us. And while this is no doubt true, the big question is: Will anybody read it? I wondered that of my own book. And how do you know if people are reading it and benefiting from it? Ah, this is where social media provides some answers. I’ve been transparent about my lack of passion for social media—especially my own! And yet, I am finding that this is not only where you get honest feedback but also transparent testimony of the effectiveness (or not) of what you are putting out there. In fact, reading some comments about Don’t Blink on the internet has provided confirmation that God is using this in ways that I had hoped and prayed for. Here’s an example: After reading the first five chapters of your book, I have to say thank you for rekindling my sense of adventure! I have been dreading writing my company mission statement and personal bio, etc, for my website. You reminded me of my passion for life and to just go for it, with Jesus by my side! What could be better? I think I was getting a little stagnant or complacent. What an invigorating breath of Christ-filled air! After reading “Don’t Blink” poolside this hot afternoon, I dove in for a swim and it was GOOD TO BE ALIVE! I plan on purchasing copies for my father and my friends. Thank you! I’ve been asked why I wrote a book, and responses like this provide the answer. I knew going into this project that 80% of men don’t read books. While my book has both a female and male audience in mind, I wanted men to find the book readable. So each of the 23 chapter starts with a captivating short story followed by a down-to-earth, real-life application. Seems like the book is keeping the short male attention span engaged—and I love that! To all of you who have read or plan to read Don’t Blink: The Life You Won’t Want to Miss I thank you. And remember, I wrote it with your non-Christian friend in mind—so please share it. Would make a nice gift for someone you care about this holiday season that is almost upon us. This entry was posted in Non-fiction, Publishing, Writer's Life, Writing and tagged Don't Blink, John Merritt, Publication, readers, Social Media, Writer's Life by Pastor John Merritt. Bookmark the permalink. I look forward to reading your book! Very engaging title! Thank you for sharing the story behind your story!